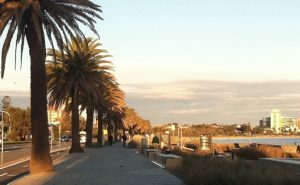 Port Phillip is blessed with beaches, parks, gardens, great schools, cafes and public spaces. There is so much to see in Port Phillip and a lot more to do in creating a great place to live. There are many initiatives led by Council, the community, traders and government partners, we ensure our villages are prosperous, attractive and welcoming places for everyone. In here you can participate in making your area a great place to live for all ages. Be part of it! There are five public library resources for you in Port Phillip. Take the opportunity to visit, invest in your English knowledge and learn about our history. Council is committed to preserving our heritage, valuing the past and planning for the future. The City of Port Phillip offers local history and heritage services and a range of research resources through the activities of several departments across the organisation. There is 11.6 kilometres of foreshore stretching from Port Melbourne to Elwood in the City of Port Phillip. Come for a walk! Have a cup of Coffee! Play beach Volleyball or just enjoy the sunset… and much more. The City of Port Phillip is home to some of the most well-known festivals and events in the country. Check out what’s going on in Port Phillip. ABRISA hosts some of its activities such as: Kids Carnaval, BBQ TChe, Children’s day, Caldos e Sopas and others.